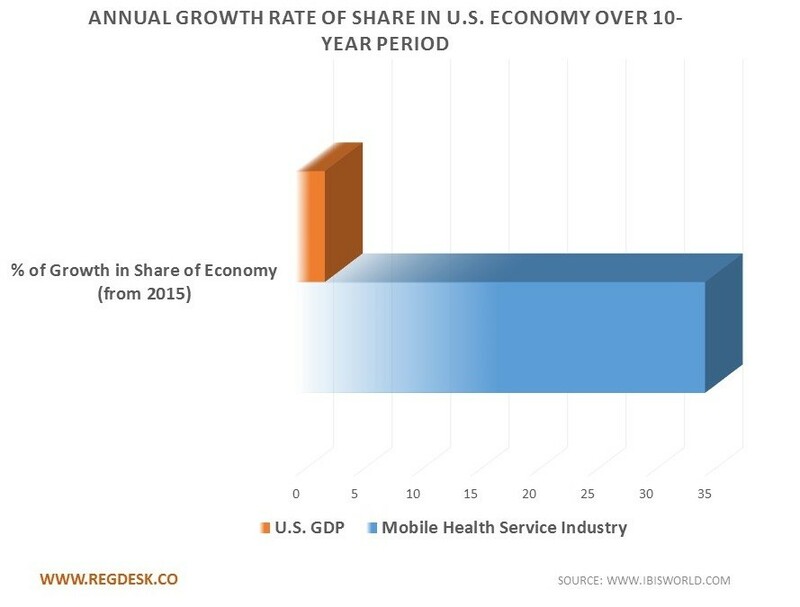 The Rapid Growth of the Mobile Health Industry in the U.S. The U.S. Mobile Health industry is growing at a rapid rate due to numerous technological advancements. Our chart compares the industry’s annual growth rate to that of the country’s gross domestic product (GDP) over the same 10-year period. IBISWorld notes that the Mobile Health Services industry’s value added, or overall revenue contribution to the U.S. economy, is growing at an annual rate of 35% leading up to 2020 while the U.S. GDP’s annual rate only amounts to 2.5%. 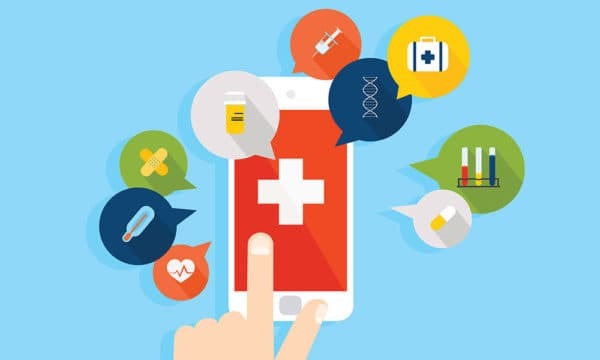 In 2015, Pew Research noted that nearly two-thirds of Americans own a smartphone and 62% of them use their device to retrieve health information. Wearable technology is also on the rise, being used to track sleep patterns, caloric intake, and fitness levels. These devices put patients’ health in their own hands. The pros of mobile health and telemedicine range from the reduction of costs associated with unnecessary hospitalizations to store-and-forward technologies used to transmit digital images. These technological advancements allow for the expansion of healthcare into more rural or underdeveloped areas.